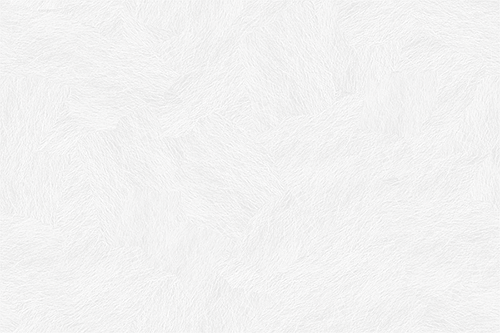 Performing the unwind protocol prior to any treatment is always advantageous. The patient will be more relaxed and accepting and treatments become something to look forward to. Use OVER 500Hz for inhibiting pain, reducing swelling and nerve damage (setting # 3), where no reproduction of new cells is required. Never use both a stimulatory and an inhibitory treatment in the same area at the same time. These treatments must be 5 inches or 5 hours apart to avoid confusing cells and cancelling each other out. The Average treatment time for a stimulatory setting with a My Pet Laser is 40-45 seconds per spot. You need to treat the whole area, above it, below it, and on it. If left in place too long, no damage will be caused, but any healing could cease and only pain relief and reduction in swelling could occur.. A good rule of thumb for scanning is 1 square cm per 2 seconds. Accute conditions can be treated twice a day to apply a "loading dose" and should be reduced over time, similar to a predinisone reduction. Chronic conditions are better treated once daily and again reduced over time, allowing for a "light vacation" ; 5 days on, 2 days off is an easy rule to follow, allowing the body to catch up, rest and kick-start again. When ever you find yourself not getting the results you expected with your My Pet Laser, or if you are confused as to what setting to use, Please do not hesitate to contact Gary or myself (Shelley). if we can't help you, we will be glad to put you in contact with someone with-in Multi Radiance Medical that can give you some guidance. 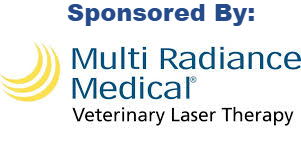 I am also in the process of compiling a list of Veterinarians across Virginia that are now part of the Multi Radiance Medical family, and that would be happy to lend a professional touch. FREE Webinar; Can Super Pulsed Laser assist with Flexibility? As we age, our muscles naturally lose strength and size and can become less supple. This can affect the range of movement around our joints, which may lead to stiffness. Flexibility is life to muscles and joints. Photobiomodulation has a lot to offer athletes as well as John Q Public. We will explore key strategies to improving and maintaining joint and muscle flexibility. Trigger point, PHT (PhotoHemoTherapy) and Muscle growth protocols. Join Dr. Chris Carraway and special quest Dr. Ernesto Leal Junior as they explore this topic and its laser application. Do you Visit a Chiropractor? Multi Radiance Medical Joins Forces with Activator Methods International. Activator Methods International® has been providing chiropractic care resources and training since 1967 and is founded on the principles of clinical research. The Activator Method® of chiropractic instrument adjusting has become the most widely used chiropractic instrument technique in the world and is currently used by more than 500,000 doctors of chiropractic medicine. Multi Radiance Medical is a world leader in manufacturing and developing FDA-cleared super pulsed lasers for accelerated recovery, pain relief and sports performance This medical technology has been used safely and effectively among a wide range of patient populations and in other therapy settings including physical therapy, orthopedics, outpatient clinics and elite athletics, where MR4 Laser is the "equipment of choice" for more than 90 professional and collegiate sports teams along with Olympic and National teams.Multi Radiance Medical equipment line includes desktop and portable devices that incorporate super pulsed laser, infrared, blue and red light therapy, electrical stimulation, static magnetic field, LaserStim™ with TARGET™ and LaserSweep™ technologies. With this Partnership, these two industry leaders will continue their commitment to educate health care providers on the benefits of laser technology in managing acute and chronic conditions as a complement to chiropractic care and the Activator Method through a nationwide seminar series. The Activator Methods Fall 2017 seminar program will teach the latest advances in orthopedic, neurological and chiropractic examinations to identify joint dysfunction in the spinal column and extremities. 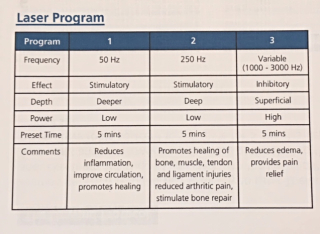 Multi Radiance Medical representatives will educate Activator doctors on how to incorporate laser treatments as an adjunct to chiropractic care. Ask Your Chiropractor to become part of the MRM family and help others learn about the amazing benefits of Photobiomodulation.